Home Recipes Mince, mince and more mince! Mince, mince and more mince! The recipe calls for Mince Meat and a heck a lot of it too! 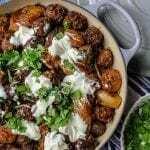 Meals you can make with whatever you favourite minced meat is whether it be organic lean beef, organic veal, free-range pork, organic lamb, kangaroo, free-range chicken), after reading these yummy ideas youll have even more reason to use mince. As if you needed persuading, mince is the top seller in the shop, which lets us know that we are doing something right! Lasagne a classic that allows for many different twists on the recipe such as using gluten free pasta sheets or using no pasta sheets at all and opting for rounds of eggplant to do the layers. Youll be needing any kind of mince to make the bolognese sauce that is lushly packed into this dish or you could take a shortcut and use our House-made bolognese sauce made with Organic mince. Homemade Meatball Sub for this genius invention youll be needing to equip yourself with a baguette, some mince to make meatballs with and a red sauce. First quickly brown the meatballs that are seasoned with pepper and a healthy Italian size dosage of dried and fresh herb. Next, youll need to add the sauce to the pan and let it simmer until the meatballs are cooked through. Next, youll need to cut the baguette into roughly 6-inch sections and cut them open from the size. Layer in all the meatbally goodness and stuff your face, or as the Italians say Mangiare (Eat)! Shepherds Pie is the dish that practically no one can refuse going back for second servings of. Go all out and stuff that pie with all your favourite veggies and mince, bake until that mouth-water golden crust begins to call your name! Meatloaf is the image you should be what you find when googling the definition of comfort food! We recently wrote about how to get your meatloaf from bland to grand in a few simple steps, check it out here https://sunshinecoastorganicmeats.com.au/meatloaf-bland-to-grand/. Burger patties stuffed with spinach and goats cheese (or any cheese that melts if goat doesnt float your boat). adding these two yummy ingredients will help to keep the patties moist and give it a burst of flavour. Beef stroganoff but with meatballs oh yes. You read right, this dish just became just that little bit more amazing. Meatballs swimming in that divine sauce is the perfect daydream! Lettuce wraps let us wrap you up in this awesome idea and pun This is an easy way to cut grains out of a meal, by using a lettuce leaf as the wrap you can layer and pack all this healthy green alternative. Awesome Meat Skewers dosed in your favourite spices. Check out our Jackalope dry rubs guide to find the mix thats perfect for your taste buds. Or if dry rub aint your thing, check out our marinades and wet rub write-ups here!